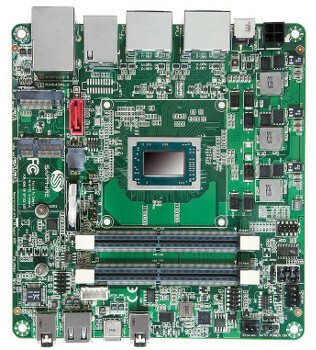 Sapphire has launched a Linux-friendly “FS-FP5V” SBC starting at $325 that features an AMD Ryzen V1000 SoC, as well as SATA III, 2x M.2, 4x DP++, 2x GbE, and 4x USB ports including a USB 3.1 Type-C.
Sapphire, which makes AMD-based graphics cards and motherboards, has launched a 147.3 mm x 139.7 mm Mini-STX (5×5-inch) form factor SBC that runs Ubuntu 16.04 or Windows on AMD’s new Ryzen Embedded V1000 SoC. AMD’s Ryzen V1000 is highly competitive on CPU performance with the latest Intel Core chips, and the Radeon Vega graphics are superior, enabling four 4K displays to run at once. The only other Ryzen V1000 based SBC we’ve seen is Seco’s open-spec, 120 x 120mm Udoo Bolt, which ships to Kickstarter backers in December. Sapphire’s commercial FS-FP5V is available for sale now with shipments beginning later this month, according to the Tom’s Hardware post that alerted us to the product. The FS-FP5V starts at $325 for a model equipped with the dual-core, quad-thread V1202B version of the Ryzen V1000 with lower-end Vega 3 graphics. The three models with the quad-core, octa-threaded versions of the SoC go for $340, $390 and $450, with ascending clock rates and graphics ranging from Vega 8 to 11. (click image to enlarge)Pricing, which does not include RAM or storage, seems to be a bit higher than the Udoo Bolt. The Bolt also adds an Atmega32U4 MCU for Arduino and Grove compatibility but is limited to the two lower-end V1000 SoC models. The Bolt seems more like a general purpose embedded board while the FS-FP5V, which has up to 4x DisplayPorts, is more directly aimed at digital signage and other media-centric applications including electronic gaming, medical imaging, thin clients and POS terminals. Unlike the Udoo Bolt, there’s no microSD slot or eMMC. There is however, a SATA III slot with power headers, as well as an M.2 M-key 2280 slot for SATA III or PCIe. A separate M.2 E-key 2242 connection supports PCIe devices including Wi-Fi modules. (click images to enlarge)It’s unclear if the cited prices include all four DP++ ports, which are listed as “up to 4x.” The board is further equipped with an audio jack, 2x GbE ports, serial and GPIO headers, and 3x USB 2.0 host ports. There’s also a USB 3.1 Type-C port, which does not appear to be used for DP. It’s unclear if it’s used for power. (click images to enlarge)This is Sapphire’s first Mini-STX SBC. 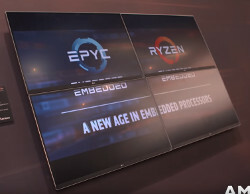 Its other AMD-based motherboards include AMD R-Series based Mini-ITX boards and some 4×4-inch eNUC form factor boards such as the G-Series based LX 210. 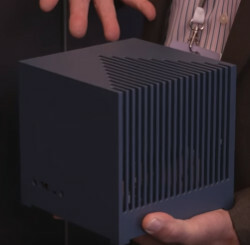 In the YouTube video farther below, a Sapphire rep says his company can make custom boards based on the Ryzen V1000. The video also shows a Kubb enclosure for the FS-FP5V from Bleujour, as well as an upcoming 2×2 digital signage display wall from Seneca Data that taps the FS-FP5V to generate 4x 4K displays. Operating system — Ubuntu 16.04 with Linux 4.9 or 4.14.14; Windows 7/8.1/10 etc. The FS-FP5V is available now starting at $325, with shipments due later this month. More information may be found at Sapphire’s FS-FP5V product page, which links to an order form. This article originally appeared on LinuxGizmos.com on July 9. 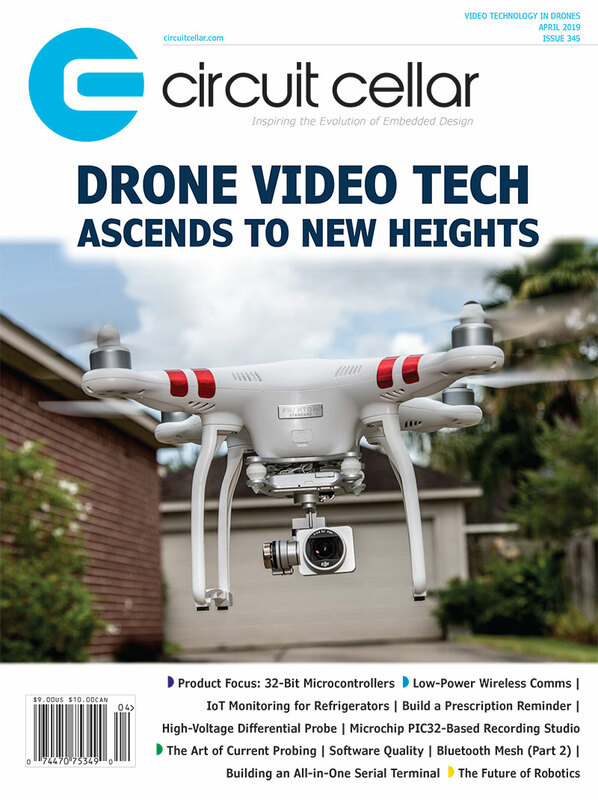 This entry was posted in Industry & Enterprise, Product News and tagged digital signage, MIni-STX, motherboards, SBC by Circuit Cellar Staff.